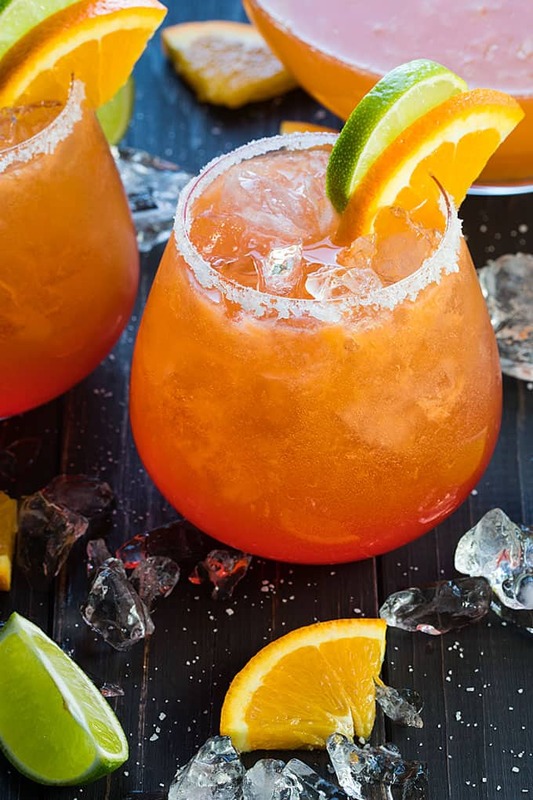 Today I’m sharing a new twist on traditional beer margaritas with these amazingly simple and delicious Sunrise Beer Margaritas! Oh yesssss! 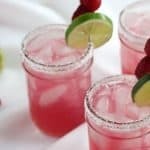 Margaritas were one of Rhonda’s very favorite cocktails, so I started brainstorming on what I could create that reminded me of her and that I knew she would LOVE… this is it! I knew a “sunrise effect” had to be incorporated into this margarita because during her last days, every time I saw a beautiful sunrise I thought of her, snapped a pic on my cell and sent it to her. 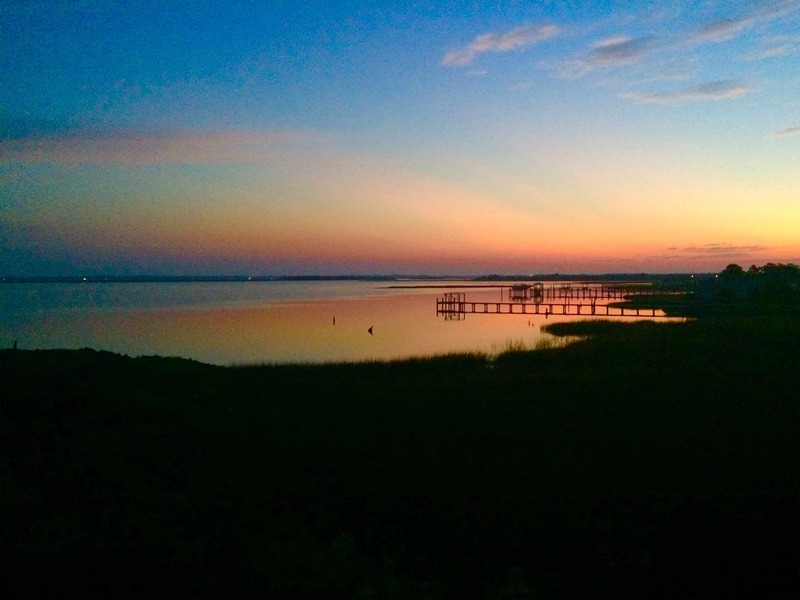 This one was sent in November 2017. My friend Tammy and I have nicknamed this our “RhondaRita” so that’s what we’ll always call it! 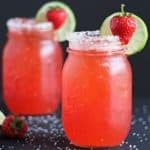 Not only are these margaritas insanely delicious, they’re a snap to throw together in a pitcher for a crowd. 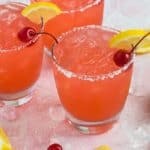 They’re very similar to my Cherry Beer Margaritas. 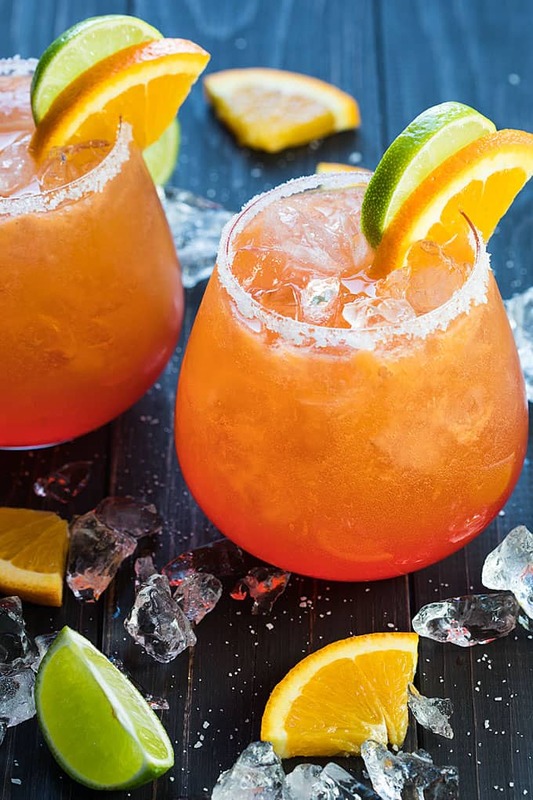 Your simple ingredients are limeade concentrate, light beer, tequila, orange soda and grenadine. 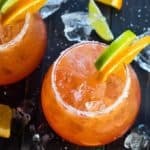 You can cut calories by using diet orange soda, but I really wasn’t concerned with calories when I made this. I rimmed the glasses with an equal mixture of kosher salt and granulated sugar. Cheers to Rhonda’s beautiful life and I hope you enjoy these as much as me and my friends have! Mix salt and sugar together and place in a saucer. Rim glasses with lime wedge and dip in sugar/salt mixture to coat rims. 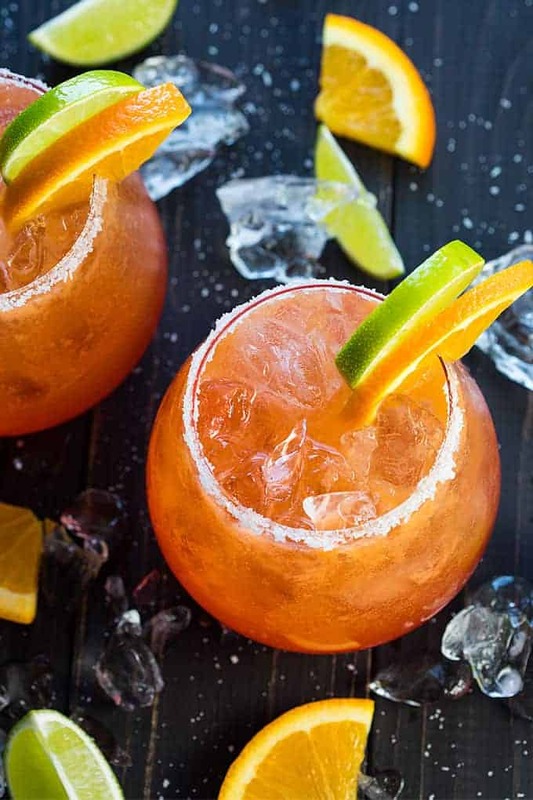 In a large pitcher, pour limeade concentrate, orange soda, beer and tequila. Stir well to combine. 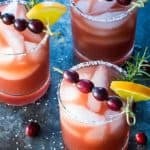 Pour in rimmed glasses filled with ice, leaving enough room for the splash of grenadine. 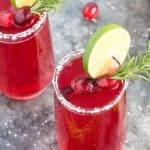 Pour in grenadine and garnish with lime and orange slices.